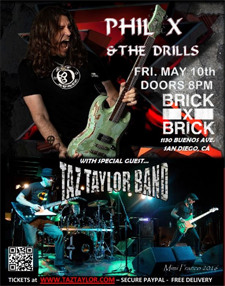 As Special Guests of Phil X And The Drills. 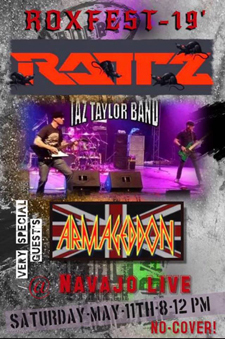 Tix are available right here for just $10 with zero additional fees and FREE shipping. Brick By Brick is 21+ with I.D. Tix are available right here for just $15 with zero additional fees and FREE shipping. Coach House is all ages with an adult. With zero additional fees or taxes and FREE shipping! 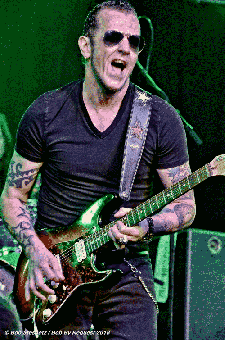 as special Guests of Gary Hoey. 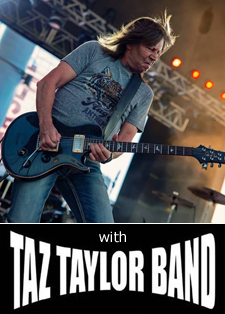 Taz Taylor Band are pleased to announce the release of our new CD. 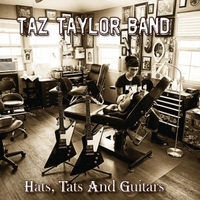 Hats, Tats And Guitars is now available for purchase at CD Baby.